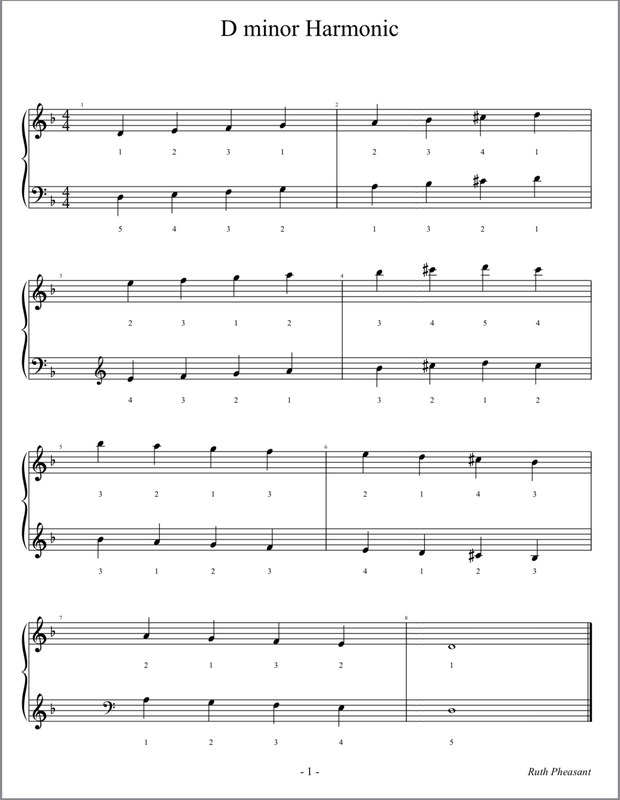 With D minor melodic, the relative major is still F major, so there is still a B flat in the key signature, but the accidentals are slightly different from the harmonic form of the scale. Melodic minor scales have slightly different notes ascending and descending. In any melodic minor scale the sixth and seventh degrees of the scale are raised by a semitone during the ascending part. Taking into consideration the key signature, the sixth degree of the scale of D minor is B flat. If you raise it by a semitone you get B natural. The seventh degree of the scale is C. Raising it by a semitone makes it C sharp. On the descending part of the scale you no longer play the raised 6th and 7th degrees of the scale. Instead you just follow the key signature, i.e. play B flat but no C sharp. This means that going up the scale you play one black key - C sharp. Coming back down the scale you play a different black key - B flat.